Against the Light by Kenneth Grant. Against the Light: A Nightside Narrative. Starfire Publishing Ltd., London, 2016. 142pp., octavo format, sewn hardbound. With illustrated endpapers, colour frontispiece, and colour wrap-around dust-jacket designed by Steffi Grant. An idle fancy sparked by curiosity opens a door on darkness . . .
On learning that an ancestor was executed for witchcraft in the sixteenth century, the narrator is prompted to explore her history. Research having failed, he resorts to magical means and exposes an array of malefic forces poised to invade the Earth. In a deserted Welsh ruin he discovers a grimoire revealing traffic between alien entities and their terrestrial agents. Rumoured to have lain for centuries in the custody of a Scottish clan, the grimoire’s existence is known to very few. Among them are powerful occultists such as Aleister Crowley and Phineas Black, desperately tracking it down. The grimoire alone holds the keys ─ and the Sign of Protection. A chimera? An allegory? More aptly, a Warning. Civilization is careering to destruction: it may find the Sign ─ or, the Seal of its doom . . . This rich, scintillating novel by Kenneth Grant was described by him as “quasi-autobiography”. The background to this Nightside Narrative, like so much of Grant’s work, can be found in New Isis Lodge, a magical working group which developed from the late 1940s, was formally established in 1955, and carried on working until the mid 1960s. Some of the workings of New Isis Lodge were described by Kenneth Grant in Hecate’s Fountain. In the late 1950s, the ritualists of New Isis Lodge began to receive a series of oracles which on subsequent rearrangement formed a coherent work known as ‘The Book of the Spider’. When planning his third and final trilogy during the 1980s, Grant decided to publish ‘The Book of the Spider’ with extended commentary in the final volume, The Ninth Arch. He was aware, however, that assimilation of The Ninth Arch might be somewhat demanding, and thought that perhaps something was appropriate by way of introduction. That “something” turned out to be the novel Against the Light. Grant started writing Against the Light in the mid 1980s, and he developed it to explore in a fictional setting some of the themes of ‘The Book of the Spider’. 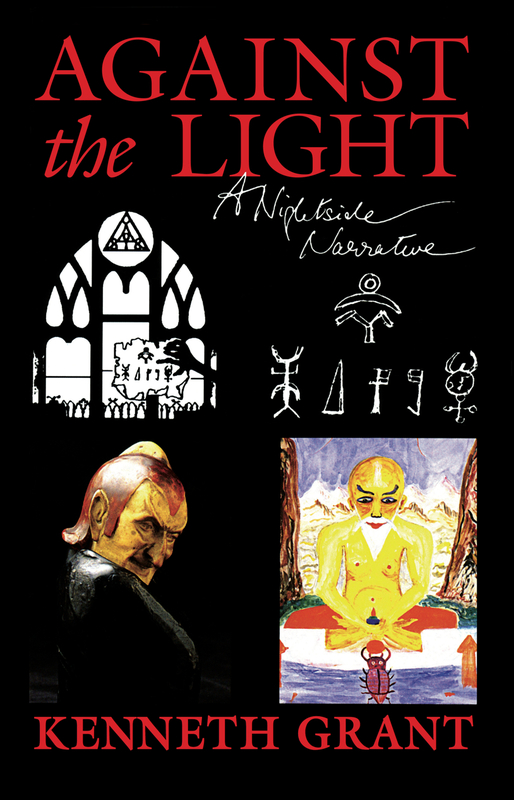 It was his original intention that Against the Light be published before The Ninth Arch, and this was achieved by the first publication in 1997. This republication of Against the Light is freshly typeset, and incorporates corrections and additions by Kenneth Grant noted in his copy of the 1997 edition. Illustrated endpapers include diary entries by the author from 1985 when the novel was started; some early plot notes; the first draft of a cover blurb from 1995; and a gloss where Grant gives the meaning of symbols on the front of the dust-jacket. 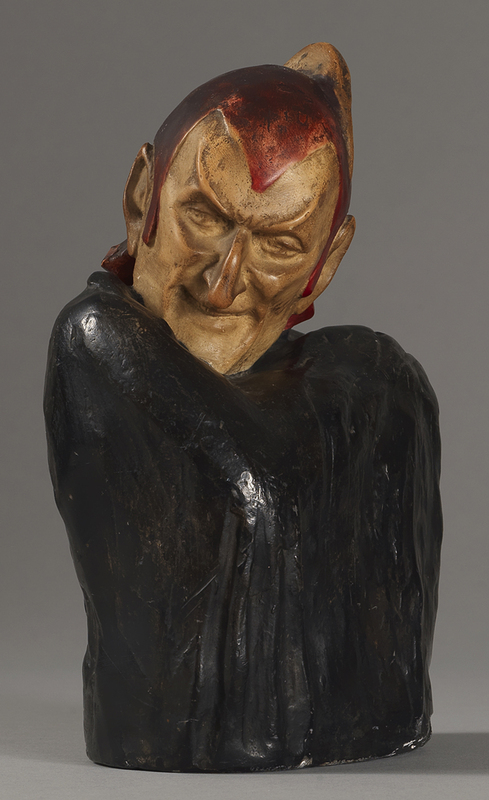 A colour frontispiece reproduces the bust of Mephistopheles, a mysterious and compelling figure which is an integral feature of this novel and which appears elsewhere in Grant’s work. Click on the cover illustration (above, left) or the frontispiece Mephistopheles (above, right) to view a larger image.